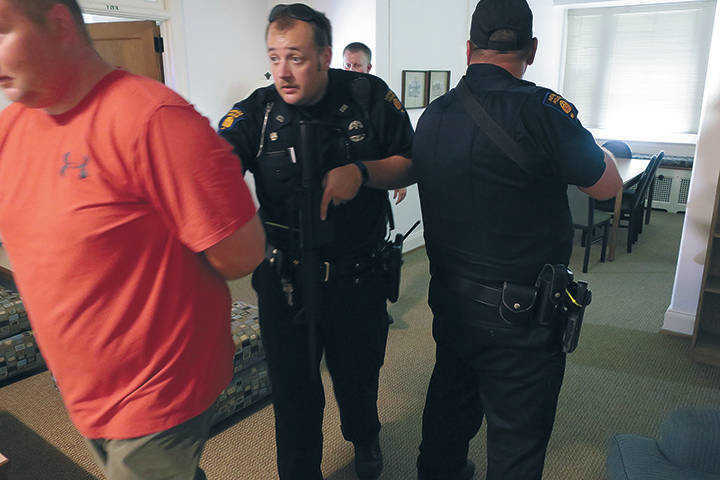 Nevada Police Department held an active shooter training exercise at Cottey College on Friday. 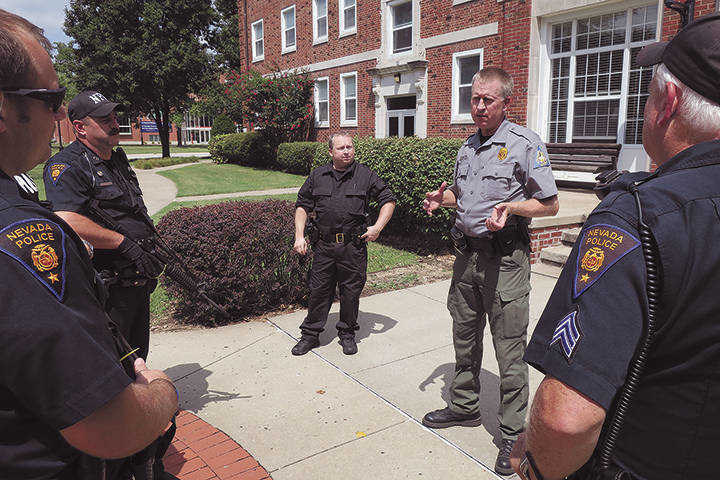 Missouri Department of Conservation agent Sean Pennington, second from right, gives a group of Nevada police officers a briefing before they begin work clearing one of the residence halls during a training exercise at Cottey College Friday afternoon. Pennington is an assistant instructor along with Sgt. Steve Bastow, standing next to Pennington. Officer Bolan escorts a "shooter" to officers waiting outside during the exercise Friday. 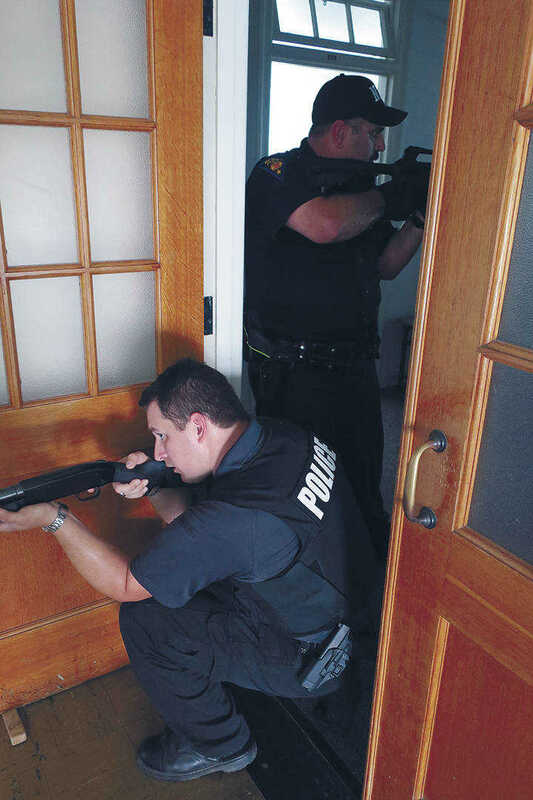 Nevada police officer Michael Bolan covers the groupâ€™s rear as they progress through the residence hall room-by-room searching for an â€œactive shooterâ€� during the training exercise. 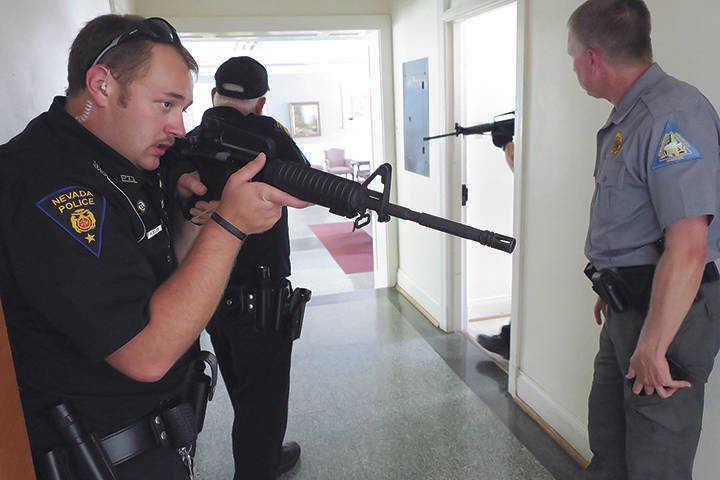 Detective Clinton Berry, left, covers a stairwell as Officer Tony Strope covers the group clearing the room during the exercise. 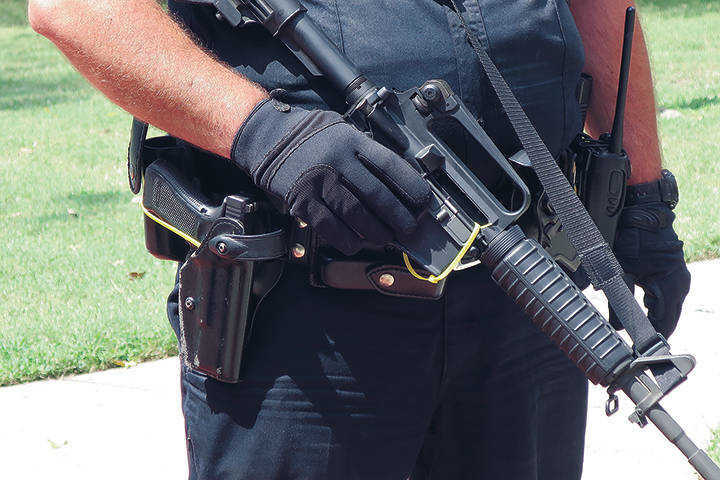 All the officerâ€™s weapons were checked three times prior to beginning the exercise and were fitted with zip ties which prevented them from operating.